I cannot believe it's September already, this year has flown by so quick and September definitely arrived a lot faster than I ever anticipated. Back in April I created a "Hello April" post where I basically expressed what I was looking forward to throughout the month and any goals which I had planned and I really wish I carried on this theme throughout every month. 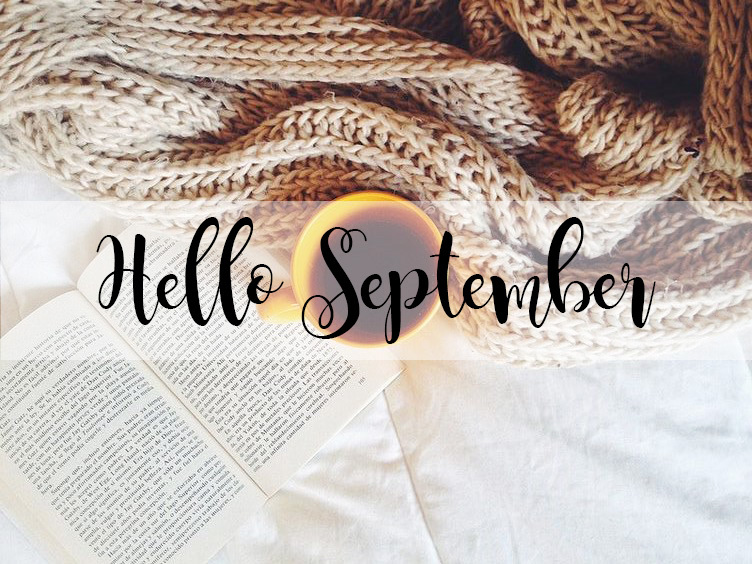 So now it's September and pretty much very nearly Autumn, I have decided to share with you guys everything I am looking forward to throughout September and any goals which I wish to achieve throughout this month. Unfortunately, throughout the last week of August, the sun decided to show itself and it has been the horrible humid mix of heat and rain which definitely does not put me in the best of moods. One thing I am currently really enjoying in my life is University, I absolutely love the people on my course, how small the university is and my overall outcome of university for my first year. Around the 22nd September I re-enrol at University for my second year and I couldn't be more excited. I'm so excited to get back into a proper routine, I'm looking forward to seeing my closest friends, and for the first time while being at University, I get to drive there instead of walking 10 minutes to the train station, and then twenty minutes from the next station just to get to University, even while it's pouring down with rain. Autumn and University will be perfect while I am in the traffic, with the heaters on and music blasting through my ears. Although I haven't really menntioned this much, but two weeks ago I left my part time job at the cinema as I just wasn't happy, and they weren't happy about me cutting down my hours. However, I do have a part time job in a Primary School working 1-1 with a child who has ADHD. Obviously, I haven't been at this job since June due to the Summer holidays and I also broke my foot so I couldn't go back so I am thrilled to be going back tomorrow! Working in a primary school is definitely my dream job, alongside blogging and it's the one place I really enjoying going too. Because of this, I don't have to get up in the morning and dread going to work, because instead I look forward to each day. I've had my blog for three years, however I only really got into a routine with my blog in May this year. I decided I wanted to start blogging properly and actually make use of my love for writing and this has evolved into publishing posts up to four times a week ever since. I am really looking forward to my scheduled posts throughout September and seeing your responses to them. 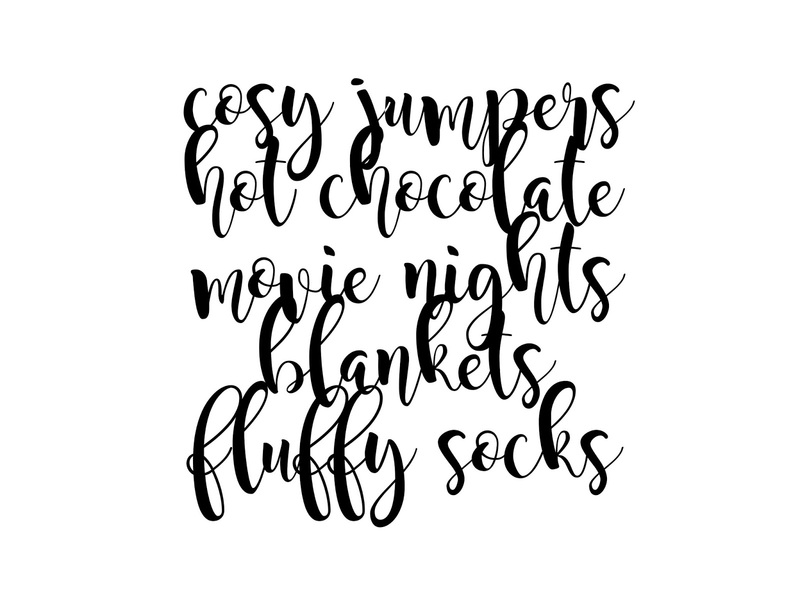 Now Summer is slowly leaving us, I'm glad I can get snuggled up in my blanket, with my hot chocolate next to me writing about all the things I love and sharing them with you. The one thing I am looking forward to most throughout September is the start of Autumn, the official date being the 22nd September. I absolutely love Autumn and everything about it, apart from how windy it is and how watery my eyes get. Apart from this, I love how the leaves change colour, how they become crispy and the smell of the air when you walk outside. I adore being cosy in my bedroom with candles lit around me, while having a hot chocolate in my hand watching a film. Autumn has come around so quickly and to be honest, I'm not complaining. I have already started painting my nails them gorgeous deep, dark shades of purple, red, green and blue. I've even snuck in some matte black! Fluffy socks are so much better than normal socks. They're cosy, they keep my feet toasty and they come in some beautiful colours and patterns! I have over 40 pairs of fluffy socks, and I have no shame for this! I used to wear them all year round however summer has just been too hot this year to put any type of sock on! Bring me back the cold weather so I can wack on my fluffy socks please. After purchasing waay too many books, I definitely need to get a move on and start reading more often. I want to read every single evening throughout September, as well as trying to read throughout the day. Not only will it make me fall asleep a lot easier and quicker at night, but they do say books are brain food! After baking the other day, I forgot how much I truly love baking and it appears my family and friends miss my bakes too! Although our stand mixer did break and our new one is absolutely rubbish, I plan to just grit my teeth and use the dreaded hand electric mixer and bake maybe weekly or every fortnight, mainly for my own pleasure because it's very theraputic. This also means more baking posts, woo! Something I would really like to do is guest post on someone else's blog. I have absolutely no idea reason why, I just feel like it would be a fun thing to do and it would get be chatting to other bloggers as well which is always a bonus! When PokemonGO was first released I was walking every single day and then the novelty wore off ever so slightly when they created an update and when Pokevision was disabled. However, my aim for September is to walk every day and to take my dog with me too! I haven't decided on a time yet, however this is my main goal and I plan to achieve it! Due to having such rubbish knees because of the disease I have in them, I use to have to go to Physiotherapy once a month however I then no longer needed too. After breaking my foot, I definitely need to re-start my physiotherapy and get my foot and knees in to tip top shape because there will always still be damage there. I hate physiotherapy, it's boring, it takes up time but it will benefit me in the long run. In the past few weeks I have been really enjoying the blogger chats which happen daily on twitter. There are so many and the topics are always different! Twitter chats are a great way of speaking to other bloggers, getting to know them and chatting about the same topic and actually having something to speak about. It is also a great way of promoting your blog while having fun too. My aim for September is to host at least one twitter chat and I am really looking forward too it! Let me know what your goals are for September & what you are also looking forward too.